If you are planning to stay home and ring in the New Year here’s a DVD worth watching while waiting for the 2014 ball to drop. Pacific Rim (Two-Disc Special Edition DVD) retails for 8.99 on Amazon and customers give the DVD a 3.9 out of 5 stars. In this article we will share our thoughts about the DVD and include reviews by other consumers, let’s get started! In our last article we saw that the media does influence people (along with other factors). In the UK it’s the same of course but the problem is slightly different than the USA. Although there are stricter gun control laws, guns can still be obtained on the black market. However there is a bigger problem and that is knife crime. Yes, its that time for New Year resolutions. According to business.time.com resolutions come in two main categories, the first “a goal to do something that’s good for you” the second “to kick some bad habit.”(1) Do you think Hollywood and consumers have a few bad habits to kick? Have you wondered if Hollywood ever made a positive resolution? Do you think consumers should start making them instead? If so what do you think would be a good resolution for Hollywood and consumers to make for this year? To start things off two of our authors have some suggestions. In a previous article we discussed some of the misunderstandings regarding differences between the promotional missions of posters and DVD’s and Blu-ray packaging options. Satisfied that these media address entirely different missions we can move forward. Though the same film may feature in both campaigns, we have to accept that the promotion of first run films is extremely different than the secondary market and promotion of home video sales. The winners in one may not necessarily be the winners in another. It may be startling to recognize that a story telling vehicle has become more of a product than an attempt to build a unique narrative experience. Stopping at that transformation makes it difficult to recognize what the new package design configurations may mean in the seduction and captivation of audiences. 1. Along the way I intend to address what considerations occur in trying to motivate audiences to come to theaters versus those considerations that have them bring the video into their homes on a long-term basis. 2. Review how film production departments or stations might change their goals in the process of achieving these marketing agendas. And 3. Discuss what package design configurations end products may take to overwhelm audiences regarding the original narrative experience. 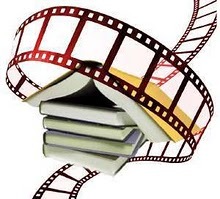 Much like its uncle and aunt, the Movie Marquee and Poster, the Optical disc package or DVD is a modern day promotional vehicle for the contemporary feature film. Yet with the use of video on demand, streaming media, and other forms of media designed for home reception on the horizon and future, we have to wonder whether the speed of technological change will significantly curtail the lifespan of this form of promotional packaging? Placing one more nail in the Red Box or neighborhood video store coffin, if the media is delivered over the internet (to your home) you have much less need of packaging for a nonexistent disk. So while this marketing media continues to retain its urgency, let’s explore its reliable communicative features and influential marketing strengths.